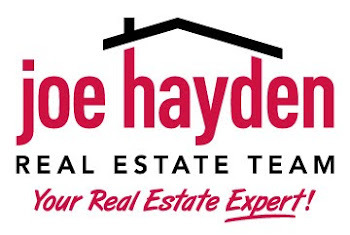 The Fourth Annual Buy Local First Fair | Louisville Real Estate with the Joe Hayden Real Estate Team - Your Real Estate Experts! 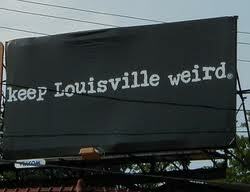 Most people who've been around Louisville for any period of time have probably seen the local saying on a bumper sticker or billboard, "Keep Louisville Weird". This adage was developed as the Buy Local movement began moving into Louisville, encouraging residents and visitors alike to shop locally to help boost the local economy. The Fourth Annual Buy Local First Fair is being hosted by the Louisville Independent Business Alliance, the Louisville Visual Arts Association and Grasshoppers Distribution at The Watertower on River Road. This unique event is a celebration of locally owned and operated businesses such as restaurants, boutiques, breweries, galleries and much more. The feel of the fair will be similar to a farmer's market, with booths that display local art, handmade treasures, and a variety of different foods! In addition, there will also be live music, a "Top Chef" competition, a kids' area, craft beer and raffle. 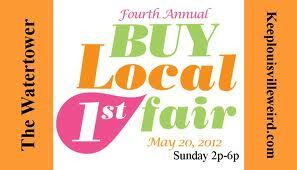 To learn more about this event, please visit The Buy Local First Fair. To find out about more fun events in the area, please visit Homes for Sale in Louisville.